Load a new ecoupon good for a free 12 oz. 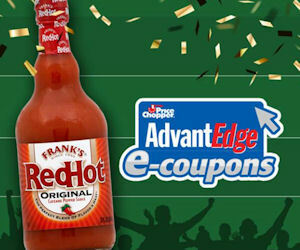 Frank's RedHot sauce to your Price Chopper card! Quanities are limited. Valid to load for a limited time only, but redeemable thru 2/4/17.